I need a new computer. This cannot be denied. I probably could get by if I upgraded the memory on my box, but when people ask me how old is it, I remark “When my desktop was new, Wireless and Bluetooth were expensive upgrade options.” Options, people, not de rigure built ins. You didn’t get ’em unless you specifically paid an extra couple hundred. So yeah, my desktop has neither Bluetooth nor Wireless. When we recently moved, the new place didn’t have an easy way to wire up the computer, because for once I put the computers in their own office and not in the living room. I’m such a grown up! I even use the dining table properly sometimes! The point was I couldn’t run a cable from the living room (where RCN put the TiVo, modem, and WiFi router) to the back room office. I mean, I could, but my partner would have shot me. So I started looking into how much it would cost to add a wireless card to my Mac. Given how old it is, I’m sure you’re not surprised to learn that it’s cost prohibitive. A couple hundred for the cards, if you can find them at all. So I started looking for other adapters. I knew that a USB adapter would be slower, but the price started dropping to $50! Even so, I knew I’d need to replace my desktop eventually, so I wanted to limit the cost, since I knew it would (eventually) be a throwaway. Finally I found, on Newegg, the perfect adapter. 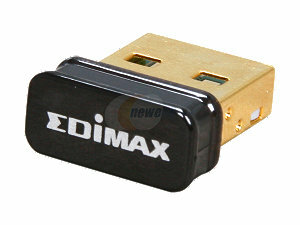 An EdiMax thumbnail USB adapter for $15! I rushed shipping, which made it cost $17 (I know, really!) and it was the last UPS delivery I got before the move. I happen to know my UPS guy, we used to live in the same building. There are minor issues with the USB drive, most of which are endemic to my computer’s age. If I unplug anything from a USB port (like my charging/syncing iPhone or iPad), the WiFi USB guy has to be unplugged and replugged in, so I try not to do anything like that when downloading. Mostly works. The signal’s not the best, but it’s enough to get me through the last three weeks without much complaint. So how is all this a downgrade? Well, I will soon be moving from a Dual Core Xeon 2.4GHz MacPro Tower to a MacBook. Yeah, you heard me, a MacBook. Not a MacBook Pro, but a 2.4GHz Intel Core 2 Duo. 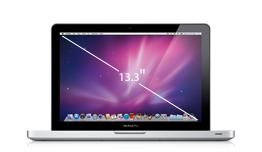 The basic, but not lowest end, Mac on the market. I’m going to plug in my fancy 21″ monitor and normal keyboard much of the time, I suspect, but I’m moving to a laptop for my basic computing needs. This was not a light and easy decision. Part of me really wants the cutting edge, but I’ve finally learned the harsh lesson that cutting edge is tomorrow’s basic. I used an iPhone 3 (not 3GS) until this week, when I upgraded mine to a 3GS for $20 (as well as my partner’s 1G – Yeah, first gen!). We plan on selling them back to BestBuy for about $100 total, if all goes well, and using that to pick up some other needed electronics. I spent a lot of time looking at the Apple comparison of laptops before I came to this decision. Certainly I toyed with the idea of a Mac Air, but the lack of a DVD drive killed it for me. I considered the MacBook Pro, but when I realized the CPU jump was so minimal (one can only get above 2.4 if you get the 13″, which is a 2.7 GHz), I started to dig into things. I asked around. A lot of my tech friends said they only used laptops these days, and as long as you make good backups, you’re fine. 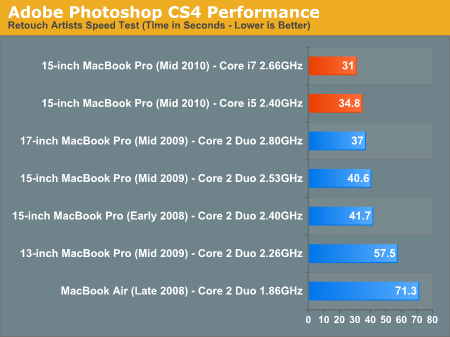 I asked if the Dual-core Intel Core i5 in the MacBook Pro was a huge difference to the Intel Core 2 Duo in the MacBook. The cost difference between the two is $200, which a not-insignificant jump to me. Much like how, the last time I got a computer, it was an extra $200 for Bluetooth and WiFi, I wasn’t sure if this was something I’d regret right away, or not. 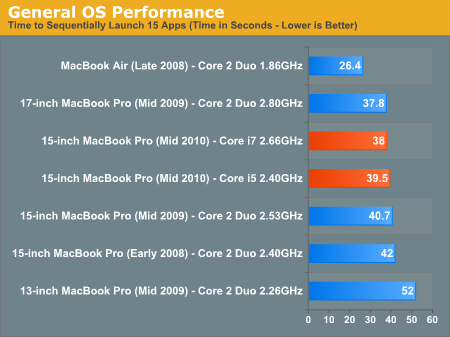 The best analogy to the current MacBook is the old 15-inch MacBook Pro (Early 2008) with a Core 2 Duo 2.4GHz. It’s only 3 seconds slower! The Air, being a solid state drive, is faster, but now we’re back to the no-DVD drive. After pricing that out at about $1800 for what I’d want, I walked away from the Air. The MacBook Pro (2010 edition) really isn’t too different from the 2008 and 2009 versions, so I wouldn’t loose much unless I do a lot of CPU heavy things. I don’t really. The cost difference between a MacBook (2.4GHz Core Duo, 4G of memory, 302G HD) and a MacBook Pro (2.3GHz Core 15, 4G of memory, 302G HD) is $55. I should point out, I get a killer deal via my office on the Mac stuff right now, so it may be more for you. The next jump, to the 2.7GHz Core i7 is about $300! Not worth it at that point, if you ask me. But my final deciding factor was a call in to the Apple folks. See, I have this EPP thing, which is an Employee Purchase Program which means I buy Mac for cheap, and have a number to call to get a real human in 5 minutes. A 30 minute phone call and I am the owner of two MacBook Pros, 13″, 2.3GHz. Okay, this is funny since I have a sense of humor. Seth, my dude, and I discussed what I wanted, why and what I wanted to do. He said that the i7 isn’t worth it unless my job is audio/video stuff. Then he said the Core Duo will be phased out next, so the i5 will be the new low end probably in 6-12 months. Sold. Then I wanted iWork and Apple Care (because, dude, it’s a laptop, it will break in a way I can’t fix, and a 3-year contract to fix it unless I flush it in the lake is a deal). We did all that and on the final review realized we forgot iWork. No problem, cancel the order, do the new one, verify, great. Oops. It’s already shipped, along with my free printer. In the 15 minutes we’d talked and re-ordered, I had two orders shipped. Whoops! They immediately offered to send me boxes so I could ship back for free, many apologies. I laughed it off, since I know this stuff happens, and suggested they put in a one-hour delay to prevent that. The customer service manager agreed it was a good idea. After I hung up, I pinged my girlfriend to tell her the funny story. She said that was fine, but was a little sad about not getting a new computer (I was planning to get her one in January). So I did the math and found it was affordable. Now we both get new laptops and I just have to sort out if that means I get two free printers! Oh yeah, I get a free printer, too! My old monster will be sold back to Apple for $500-800. Her old Mini will come to Cleveland and become my gran’s new computer. She needs one. Everyone wins! 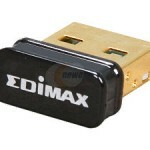 The only question left is if anyone wants an Edimax wifi USB drive. $10!